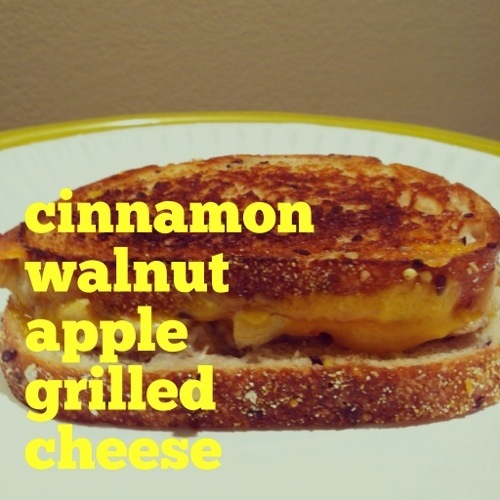 What’s your favorite grilled cheese flavor? The cheese paired with tart and sweet flavors of this recipe makes for a delicious and different lunch treat. I appreciate my mom for introducing it to me! Yes, I do pack grilled cheese in my lunch. It isn’t the same as off of the skillet, but I’ve had to learn to adjust my preferences or love a repetitive packed lunch menu. Swap out the ingredients to ones that fit your palate, budget and food supply. In small skillet, cook and stir walnuts and honey over heat for 2 to 3 min until lightly toasted. Sounds kinda funny but it is delicious. I am a meat lover and this really hit the spot when my daughter made one for me.